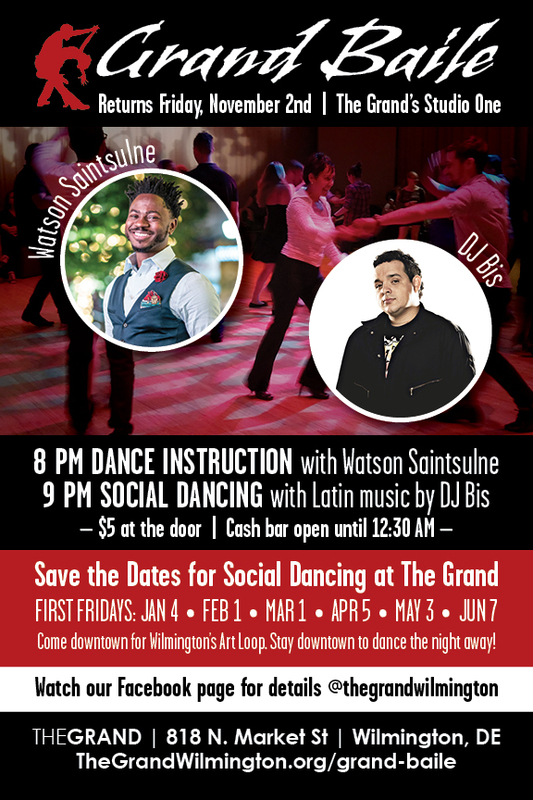 The Grand Baile is Returning to Downtown Wilmington! This Latin dance event is open to everyone no matter your previous experience! Just come on out for a great time! Whether you like Latin dancing, Latin music, or just socializing and having a great time, Grand Baile is the place for you. Every other month we transform Studio One into the perfect place to mix, mingle, and move. The night starts off with a free dance lesson, and then the opens up for social dancing to the hottest Latin beats! *Use the front entrance between the box office and the baby grand. Take the elevator up to the 3rd Floor.